A fun day of fishing is planned for Saturday, Aug. 11 at the Shelter Island Pier located at 1776 Shelter Island Drive in Point Loma. This free fishing event, the Annual Young Anglers Tournament is open to all young anglers 6 to 15 years old. No experience is necessary. Use of loaner fishing tackle, bait and assistance is provided free of charge. 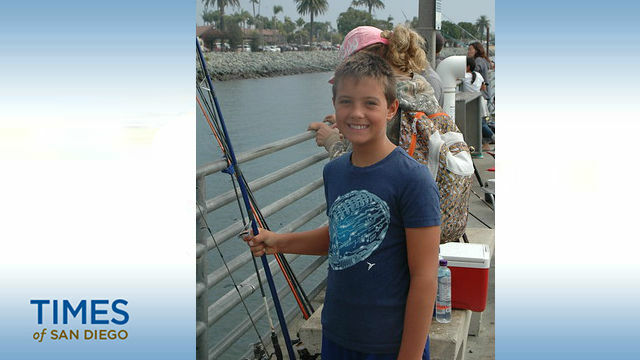 In past years the fishing event has attracted the participation of kids from throughout San Diego County, Riverside and as far away as San Francisco. Now in its 16th year, the event is produced by the San Diego Sportfishing Council with support from the International Game Fish Association, the Port of San Diego Tidelands Activation Program and the County of San Diego Community Enhancement program. This free annual event provides free hands-on access to water recreation in San Diego. https://form.jotform.com/81765898392174. Complete information on the event and on-line registration is easily found on the San Diego Sportfishing Council’s website at www.sportfishing.org. Advance online registration saves time the morning of the tournament. On site registration the day of the tournament begins at 7:30 a.m. Fishing begins at 8:30 a.m. and ends promptly at 12 noon. Prizes will be awarded by 1 p.m. The Annual Young Anglers Tournament features a points system to allow for catch and release with different species valued for varying points. The species included and their relative value in points will be determined before the event begins on the day of the tournament. The winners – one recognized in each age category between 6 and 15 – will be determined by the highest number of points earned. The angler with the most points overall will be recognized on the tournament’s perpetual trophy. A complimentary lunch will be served to all registered anglers. Loaner fishing tackle provided by OKUMA will be available to those who don’t have their own. Bait is being provided by Squidco and Anglers Distributing. IGFA representatives and volunteers from the United Pier & Shore Anglers, San Diego Rod & Reel Club, San Diego Anglers and the San Diego Fly Fishers will be on hand to assist young anglers and to tally points. Sponsors include OKUMA Fishing Tackle, Turner’s Outdoorsman, Anglers Distributing, Squidco, Big Hammer Lures, Friends of Rollo, Costa Sunglasses, Uni Goop, Berkeley Big Gulp, Coastal Conservation of California, Three Lollies, Mustad, Everingham Brothers Bait Co., Fathom Bistro at Shelter Island Pier, Fisherman’s Landing Tackle, Booyaa, San Diego Marine Exchange, Seeker Rods, Point Loma Sportfishing, H&M Landing, Jamba Juice, USS Midway, Oggi’s and Corvette Diner. Prizes and raffle drawing items for the tournament include rods and reels, hats, T-shirts, fishing gear, deep-sea fishing trips, restaurant certificates and more. The San Diego Sportfishing Council is a California non-profit corporation established in 1979 to promote San Diego saltwater fishing as a recreational activity, to increase awareness and availability of “how, when and where” information on sportfishing opportunities. The Young Anglers Tournament is part of a larger Youth Fishing Program produced by the Sportfishing Council.